A Swinging Summer! | Nan Tubre Writes . . . I love summertime! Except for the heat. And the mosquitoes. It would be perfect except for those. But in order to enjoy what God gives us for the summertime, we have to endure the not so nice things, too. Believe me, there is more to enjoy than to simply endure. The smell – I love the smell of summer. Have you ever noticed that when the heat is on, the scent of flora and fauna is more intense? (try saying that three times) And the smell of fresh-cut grass, yummy. Can you remember the smell of the lake? The sand and surf? Did your mama take you to the library in the summer? I can smell that even now as I type. And need I mention the delicious scent of BBQ? The smell of tomato plants? Something else I’ve attributed to summertime is the fact that there seems to be more wildlife activity. Early in the morning, noisy birds could care less who they wake up with their cackling songs. In the evenings, crickets and cicadas sing you to sleep with droning lullabies. Squirrels come out of hiding, opossums and crafty raccoons ransack garbage cans as armadillos root up your garden. Oh, and don’t forget those cold-blooded snakes slithering onto the hot pavement to warm themselves (run over those suckas!). In the area where I live, it’s not unusual to see the occasional alligator taking a short cut through the yard on the way to the lake. Don’t forget butterflies. They are the best, aren’t they? 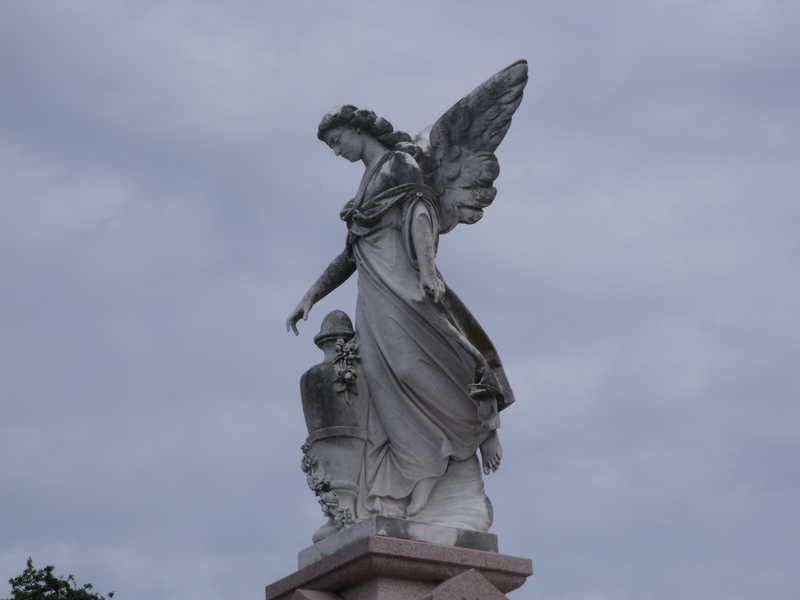 As a child, I imagined them to be angels, seeing as how they drift and float and delight in the beauty and sweet nectar of summer flowers. I love butterflies. I have a lot of flowers in my gardens and butterflies are everywhere. Summertime butterflies. And speaking of summer time sights – look up, see the night sky filled with heavenly diamonds so much more prevalent this time of year. Summer noise: kids splashing in the pool, laughing at the playground in the park, calling to each other while they ride their bikes, the tic-tic-tic of an old sprinkler, lawnmowers. We used to hear screen doors slamming in the summer, but not anymore. Now we hear air conditioning units constantly groaning under the oppressive heat that global warming has insured. Vacation Bible School. Remember that? For a few years now, I’ve volunteered to help out at our church for summer VBS. The thing that’s different about it at this time in my life is that I get to bring my grandchildren with me. Joy! What joy! I love it, although I will ask for your prayers because I’ll have three grandchildren here for 6 days. Lordy, help me. Luckily for me, our VBS director understands my -shall we say- peculiarities and allows me to man the video room. When the lights go out for the dvd show, all of the kids get quiet and I stay calm. LOL! Summer vacations! Although I have had very few traveling vacations in my adult life, those that I have had were way over-the-top! 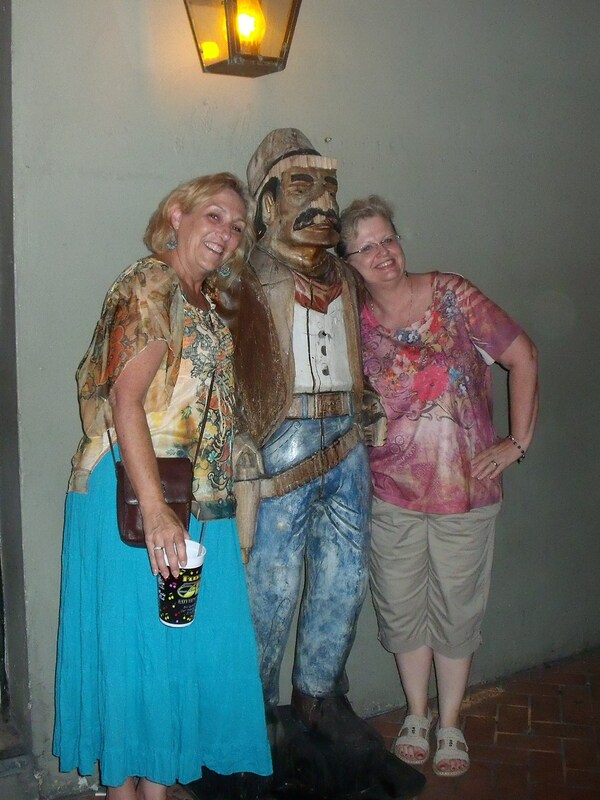 This summer, our vacation took the form of two days, one night in NOLA, that is, New Orleans, Louisiana. We met up with some very dear friends celebrating their tenth anniversary and, as usual when we get together, we had a great time. I love NOLA, and though she is a hot city in the summertime, she is the heart of our great state. What a generous, great lady! Now for the shameless plug. If you have followed what I have been doing lately, you know I have learned how to do a little bead weaving. 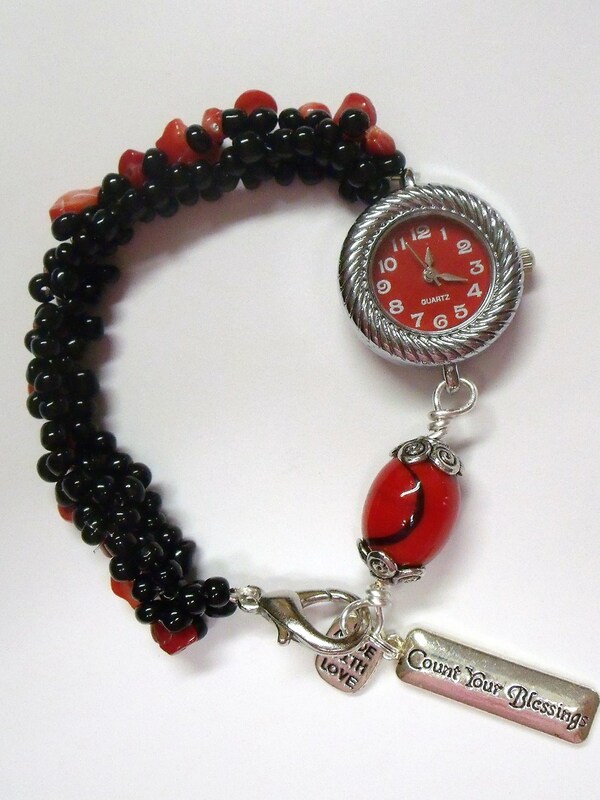 This is a red and black watch that I put together using the bead weaving technique. Another bracelet I’ve been working on is a complete five decade, five strand bracelet made out of smokey gray faceted Czech beads, aurora borealis beads, and seed beads. Very fancy. 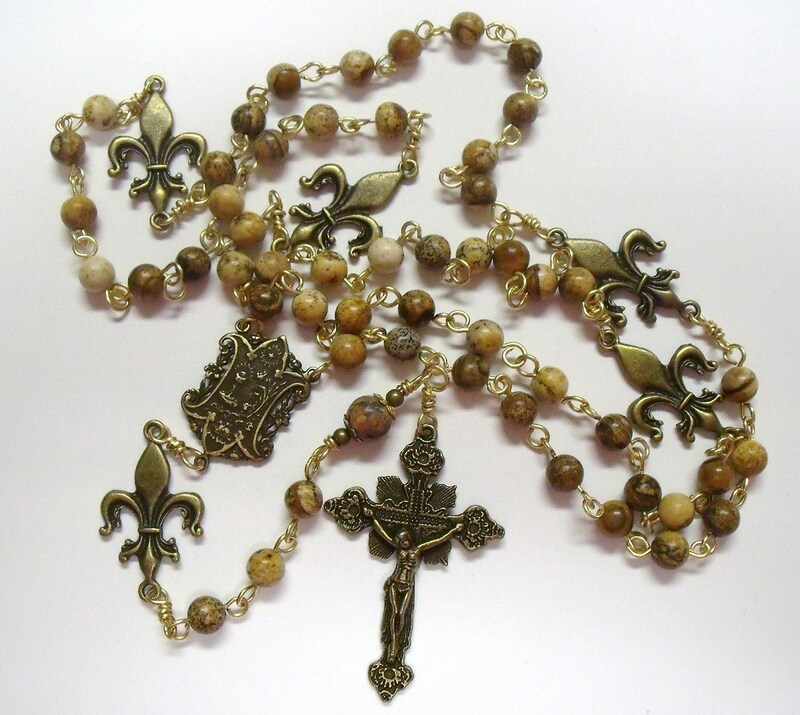 Finally, let me show you a tribute to my fair Louisiana: A rosary made with linked jasper the color of earth, with bronze Fluer Di Lis Paters, and a special hand-cast bronze center featuring the chalice and host of the Holy Eucharist. Please consider rating this blog, sharing it, or dropping a comment for me. I’d really appreciate it!